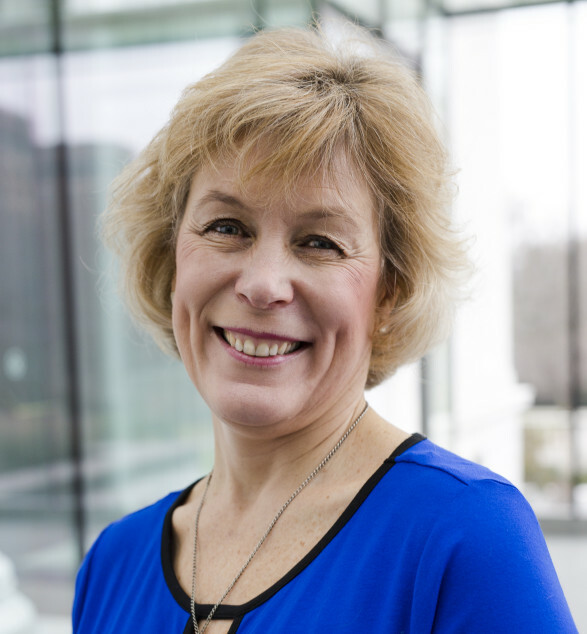 Today it’s my pleasure to introduce you to the warm and lovely Debra Reble. 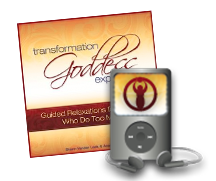 Consciously merging her practical tools as a psychologist with her intuitive and spiritual gifts, Debra L. Reble, Ph.D. empowers women to connect with their hearts and live authentically through her transformational Soul-Hearted Living program and podcasts. Debra is the author of Soul-hearted Partnership and her new book, Being Love is scheduled for release in 2016. She is also a contributing Best-selling author of Inspiration for a Women’s Soul: Choosing Happiness and Cultivating Joy. “As a feminine energy, we are divine grace in motion. I know you will enjoy Debra’s gorgeous grounding energy. This Soul-hearted goddess shines! Having a strong masculine energy, it’s been a lifelong challenge embracing my feminine energy and feeling comfortable expressing it. When I was ten my body developed quickly and I felt distress as boys began to notice, feeling self-conscious, especially about my maturing body. Shame set in. I stopped playing sports and swimming at the local pool because these activities drew attention to my body. I refused to wear a bathing suit or anything remotely revealing, and did everything I could to hide my body. The more self-conscious I became, the more I lost my confidence and the more self-critical and depressed I became. It was with this resulting sense of unworthiness that I began eighth grade fearful of being teased and bullied for my highly developed body. Throughout adolescence, my choices reflected this alienation from myself. I tried to become invisible so I wouldn’t draw attention to myself. I remember the chilling gray spring day I was diagnosed with breast cancer. Up until this point, I had bounced back quickly from problematic situations and devastating circumstances, gleaning information from such challenges as divorce, single parenting, losing my mother early in life to drug use, physical neglect and sexual abuse, and my stepmother’s mental illness. However, the diagnosis of breast cancer rocked my world more than anything I had ever experienced before. Like the resuscitation paddles that jump-start the heart back to life, the sheer vulnerability I felt jolted me out of my complacency, and my world turned upside down. Yet I also trusted that a path of transformation was being laid in front of me. As difficult as this situation was for me, I knew that I was being given a wake-up call to acknowledge and accept my female body, release my deep-seated self-consciousness, and integrate the divine feminine energy into my life. I also recognized that my past history of sexual abuse and the therapeutic work I did made me highly vulnerable because of the emotional processing that can congest the heart center, especially in an area of the body uniquely associated with giving and nurturing. Realizing that I was accountable for the flow of energy and the conversation that had been going on between my mind, body, and spirit, I shifted from reaction to responsibility. It took focused awareness to capture the negative thoughts, feelings, and patterns I had engaged in every day and consciously replace them with positive, supportive, and loving ones. 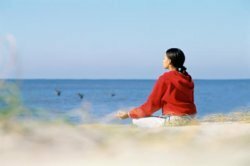 I needed to become my own loving coach and shift the self-conscious and shame-based conversation that had been going on within me for over thirty-seven years. With my energetic support team, I focused on releasing energy blocks, especially around my heart center. I energetically released past fear and shame-based patterns that had created the energy blocks and opened my heart to light energy for self-healing. With my loving supportive partner, Doug, I explored sensual play to release the self-consciousness around my breast that was blocking my energies. I also meditated to open me to higher levels of spiritual awareness so I could release energy blocks at the soul level. Finally, several weeks before the surgery I legally changed my last name, which was my maiden name, to my married name, a change that I believed would separate my past and validate my core being rather than my identity structure. As I reviewed and revised my life’s script, I tossed out old values, beliefs, and attachments to anyone or anything that no longer spiritually served me such as “My feminine body is ugly and I need to hide it,” “I could never be a goddess…goddesses are beautiful,” and “I’m ashamed of my feminine body.” The more I connected with my feminine energy through my heart, the more I began to appreciate, accept, and embrace it as a strength. Almost ten years after being diagnosed with breast cancer, I am reminded daily of my spiritual ability to make discerning choices that dramatically alter my life’s path, open me to transformation, and manifest realities beyond anything I ever thought possible, inviting miracles. In my late 40’s, I started taking dance lessons so that I could become in touch with my sensuality, feminine body, soul power. Dancing allowed me to be fully present in my body and not disassociated from it. When salsa dancing, I found that I naturally moved to the sensual music and felt the vibration of my feminine energy all through me. Dancing physically and emotionally connects me to my feminine energy more than any other ritual. I especially love dancing in the rain! Today I completely embrace my feminine body, sexuality, and power no longer hiding it, feeling self-conscious, or disregarding its needs. I take time to notice, appreciate, and cherish myself as I mature into a midlife woman. 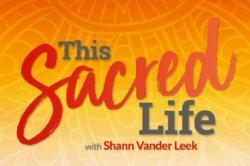 I practice sacred precious self-care as an essential in my life not a luxury. I embrace my sexuality as an expression of my creative feminine energy and channel this energy into my everyday life. My first sacred feminine ritual of the day is gratitude. Before I get out of bed, I place my hand on my open heart and appreciate being alive and being able to love. Opening my heart in self-compassion, acceptance, and love creates a space that dissolves fear, anxiety and negativity. Next, I light a candle on my altar and set my intentions for the day and for my life. I open the day in a sacred space of meditation whether that is walking, sitting in solitude or writing in my journal. Water has become an essential element in my rituals. A special ritual for me is sitting outside in a warm rain, letting cleanse and lift my spirit. When I was in Istanbul, Turkey for my 50th birthday, I discovered the sacred ritual of the hamman bath. In this community bath house, women come together to bathe, steam and talk with one another. I now incorporate bathing as a ritual of release, cleansing and beginning anew. This is a time of unprecedented transformation, of a concentration of love consciousness, of the opening of feminine energy and the birth of spirit without leaving our bodies. 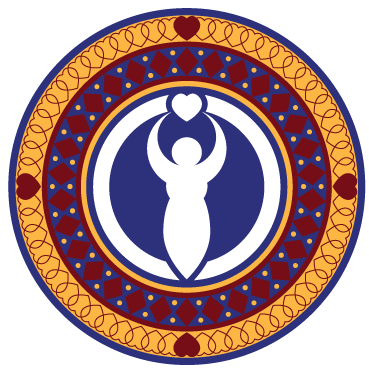 As a spiritual midwife, I embody the divine feminine and assist women in the natural unfolding of their true being and expressing this powerful energy on earth. I show up in the world by tapping into my intuition, listening to my heart, and trusting the power of love that is my feminine nature. I also choose to surround myself with kindred midwives that empower, encourage, and support my being unconditionally. 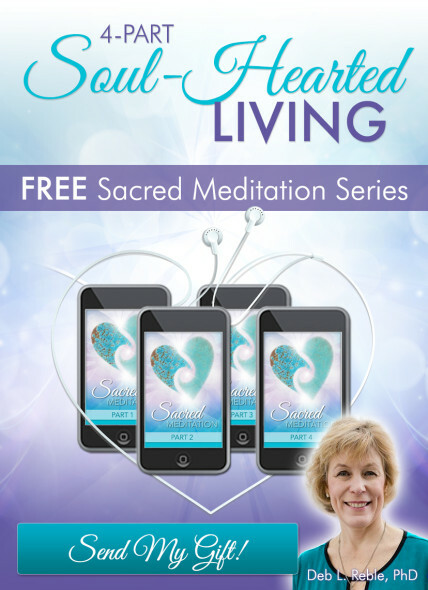 This energetic soul support team reminds me of the precious miracle I am and we all are. When I walk in beauty, I am divine grace in motion. My feminine energy is a source of strength, compassion, and courage of heart. So often, we think of strength as a quality that comes from a force of will or sheer determination; yet, what makes me strong, loving, and confident is embracing and listening to my true essence and calling upon that feminine power and wisdom whenever I need it. Through my feminine spirit, I make love with life, play with passion, and live on purpose in every moment. 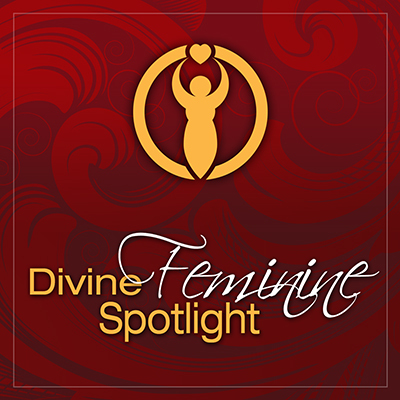 If you enjoyed today’s conversation, you may wish to visit the Divine Feminine Spotlight Series Library to meet all of the Transformation Goddesses who’ve shared their wisdom & love offerings in our popular podcast series. Thank you Theresa! Debra is such a blessed and lovely woman. Thanks for kind words. I’m so glad you enjoyed (and could relate with) Debra’s story. We are all in this transformational fire together. Thanks to both of you for sharing this story. Dance has helped me balance my masculine energy, too! And I agree that an attitude of gratitude goes a looooong way! Very inspiring interview. Thank you, Debra for sharing your story. Glad you enjoyed our conversation. Thanks for listening in. Two of my favourite goddesses together! Thank you Debra for sharing your story. I can totally relate to that feeling of being amazed at where you are now;) So beautiful how your journey guided you to experience all these rituals to embrace your feminine essence and how you’re now supporting others to take good care of themselves and living soul-hearted. My pleasure beautiful! I am grateful you chose to step into circle with us. Big LOVE!